Business actions and decisions that reflect the highest standards of integrity, caring and ethical conduct. "Heather was recommended to me by one of her other clients. She's been phenomenal. Organized, good communication, lots of patience and flexibility. Most recently, she's graciously gone out of her way to help me navigate a change in my business taxing structure that was driving me crazy. Such an upgrade from the bookkeeping provider I used before. Highly recommended." 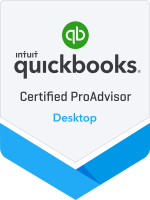 "I have worked with several professionals to help with the bookkeeping and Quickbooks for my small business. The first was a large CPA firm that didn't seem to have time for me. The second was another CPA firm that a friend of mine works for, unfortunately her firm was too expensive for my small business. Then I worked with a tax professional who just was not performing. Then I started working with Heather. She is a hard working Quickbooks professional that cares about her customers. I would highly recommend her to anyone." Rusty K.
"Heather truly goes above and beyond to make sure our bookkeeping is​ in pristine condition. Heather is communicative, honest, timely and trustworthy. I now have her working on (2) company projects and she does solid work. 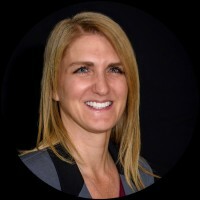 Heather has the ability to explain bookkeeping in a clear way and she always follows up. I plan to use Heather for many years to come." Andrea N.
After working with several bookkeepers and accountants, Heather is the only one that has helped me figure out what the heck was going on inside of Quickbooks. On top of that, she did great work, quoted fairly and never failed to succeed. She cleaned up tons of dirty books that even my CPA firm didn't do well with. 3 thumbs up! Brandon R.
Heather was a lifesaver when it came to stepping in and fixing my QuickBooks mess. She quickly learned the Interest on Lawyer Trusts Accounts system and has been diligent in my bookkeeping and invoicing. I could not do it without her! 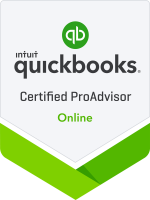 Alaina S.
"Heather is a quickbook wiz! She did my setup and integration flawlessly. If I had a question she always had the answer. She helped me step by step to file my LLC paperwork, file for my EIN, and later to establish my corporation. She also advised me, as well as setup, my separate accounts for banking and credit cards with my EIN so as to protect my assets. She is very professional as well as hands on. I highly recommend Hill Bookkeeping!" Clay H.